The talented European Goldfinch, admired for its colorful plumage and delightful song, is the most popular pet bird of British and western European origin. Both male and female adult Goldfinches feature beautiful crimson faces edged with broad white cheeks. However, if you look down on the heads of the adult birds, you will see that the male’s red extends a bit behind the eye. The female’s red will extend only to about the middle of the eye. Therefore, the male bird has more red on his face. The male is also a more consistent and more varied singer. 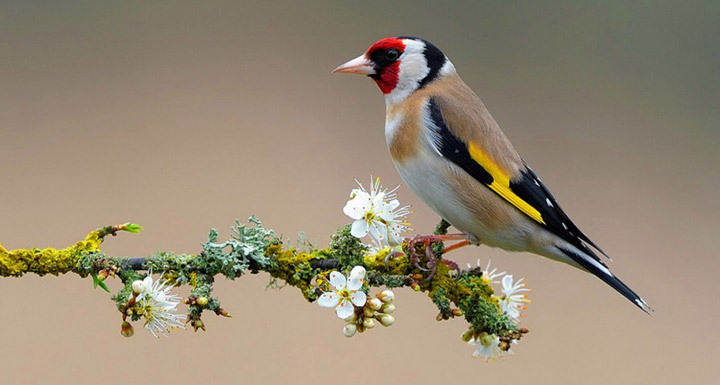 As a classic of European aviculture, the European Goldfinch has been bred in a number of beautiful color mutations including Tawny, Opal, Albino, Yellow, and many more. 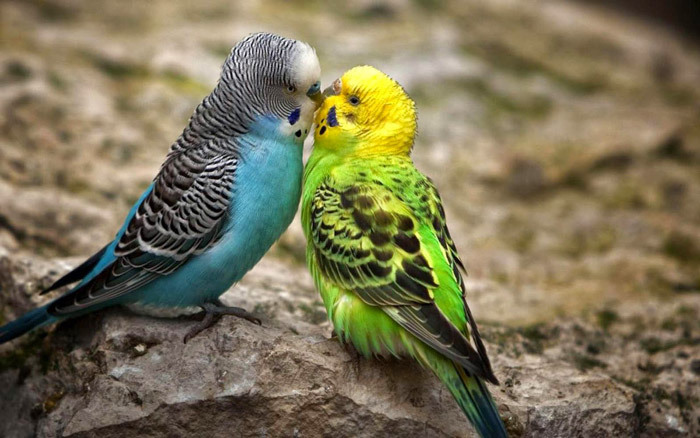 It has also been hybridized with domestic canaries or with other Carduelis species. All in all, this species is considered one of the most reliable and gratifying of the European finches, whether you want to breed special mutations in individual cages for the show bench or you prefer to stock a mixed-species aviary with a gentle, easy-going bird that adds plenty of song. The European Goldfinch is a seed-eating species, but you need to take care with its special needs. Don’t just pull “any old” small seed mix off the shelves, as this species seems to have a special requirement for some higher fat seeds in the diet, especially niger, nyger, or thistle – different names for a small black oil seed that’s particularly valuable to goldfinch species. They will enjoy some shelled sunflower or safflower. Hang dry or sprouted millet sprays to give them hours of entertainment as well as a special treat. That said, European Goldfinches can’t thrive on a diet of dry seed alone. They require greens several times a week, including such treats as sprouted seed, chopped spinach, broccoli, kale, chickweed, dandelion, and other greens from pesticide-free sources. Shredded apples and carrots can always be added to the salad. All finches should have access to grit, as well as clean cuttlebone or another source of calcium. 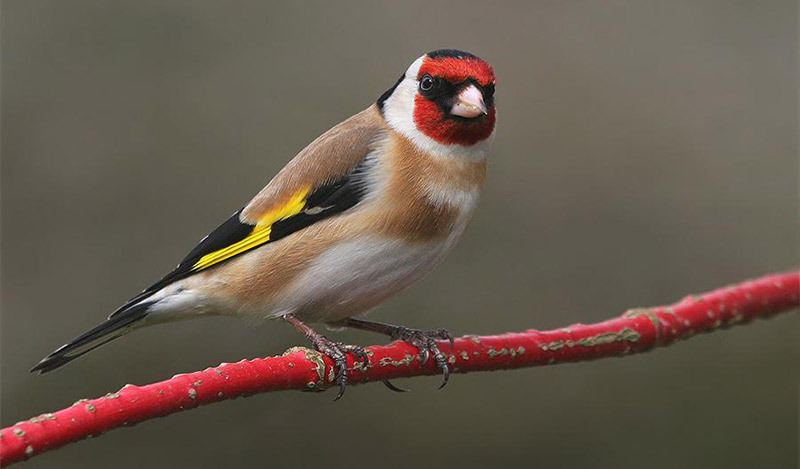 During the breeding season, European Goldfinches will require eggfood and live foods such as tiny waxworms and the smallest available size of mealworms. You have a variety of options for housing the adaptable European Goldfinch. 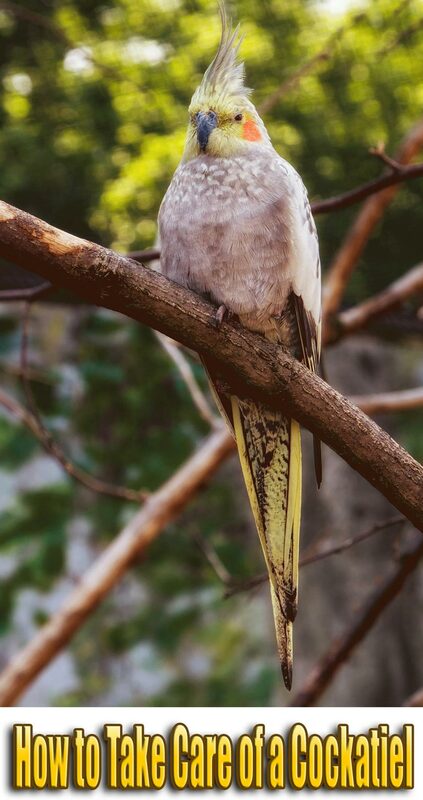 A single male can be kept as a lively companion in the home, and pairs can breed in cages as well as aviaries. However, many so-called finch cages are only suitable to serve as hospital or temporary homes for birds awaiting sale. The permanent home of a songbird or a breeding pair should be 36” in length, 24” in width, and 18” in height, with ½”bar spacing. A larger flight would not be excessive. A variety of perches, swings, and even toys will keep them busy and allow them to provide you with endless action and entertainment. They love bathing, so have a bath available, or you may find them trying to splash in the drinking water. If you would like to set up a planted walk-in aviary, European Goldfinches are definitely one of the birds of choice. They are good-natured birds who get along well with other species, and they do not harass the tiny waxbills that you might like to add to the display. They share some of the independence of the canaries, and a single pet male European Goldfinch may be kept as a songbird, as long as he has a lively place in the home where he can hear some life and music. It would be a rare European Goldfinch who would want to leave his cage and learn to fly to his owner, but it has happened for people willing to train their birds very early. Most people will keep their European Goldfinches in pairs or as part of an aviary. These agreeable songsters are happy acrobats who play well with others, so they can thrive in a variety of situations. If a male stops singing, it may be because he’s molting. However, if he doesn’t sing for a prolonged period of time, it’s worth checking his health to see if he has a hidden problem. You also can’t expect him to sing in a dead quiet house. Try playing some classical music or some canary song very softly in the background. You may be pleasantly surprised by the results. 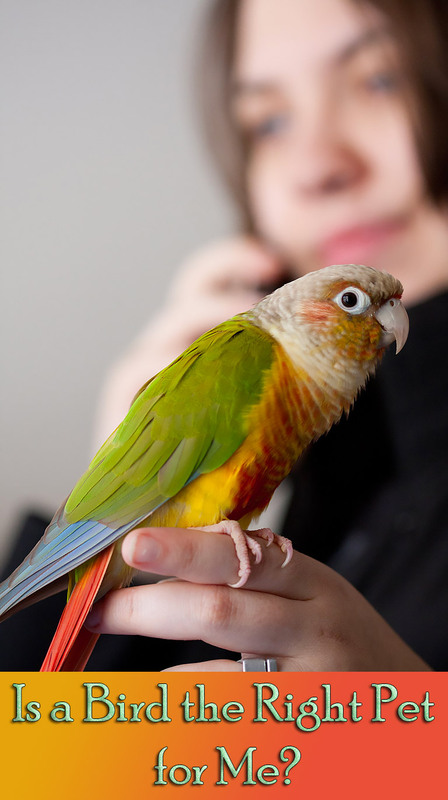 Breeding may occur in a large indoor cage but is more common in outdoor aviaries or bird rooms. Males court prospective mates by swaying back and forth while beating their wings in a most amusing manner. A commercial canary nest, set as high as possible within their cage, will usually be accepted. Dried sphagnum moss or commercial nesting material should be available throughout the nesting season. An average clutch contains 3-7 eggs which hatch in approximately 14 days. The young fledge at 2 weeks of age. Thereafter they are fed, primarily by the male, until achieving full independence.